North Carolina Gold Festival – Taking place the weekend of April 9-10 this year at Tom Johnson’s Rally Park in Marion, the annual Gold Festival celebrates the area’s rich (figuratively and literally!) history with gold. Did you know…North Carolina was the largest producer of gold in the country until 1848? 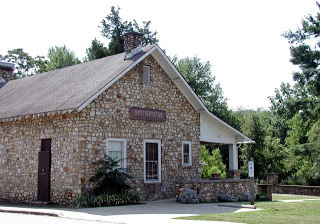 During the Gold Festival, you can learn about NC’s gold history by checking out exhibits and viewing gold mining techniques and demonstrations. While at the Gold Festival, you can also browse arts and crafts booths, eat some great food and participate in scavenger hunts, geocaching and gold panning. Entertainment includes local bands on Friday as well as an evening gospel concert at 6pm, led by Purpose, The Blairs and Glory Land Way Quartet. Saturday’s music and entertainment will be provided by The Can’t Hardly Play Boys as well as Nashville recording artist Juleigh Ed. See www.ncgold.org for more information. Pioneer Day – The town of Old Fort, North Carolina, celebrates its mountain heritage with an annual event called Pioneer Day on the grounds of the Mountain Gateway Museum. More events are taking place this Spring in our county…stay tuned for details!